The nine-month-old, along with two others, was culled back in February because Odense Zoo had too many of the animals. Today just one – a male – was taken out of the freezer and, as I write, is being cut up in front of huge crowds, including children. 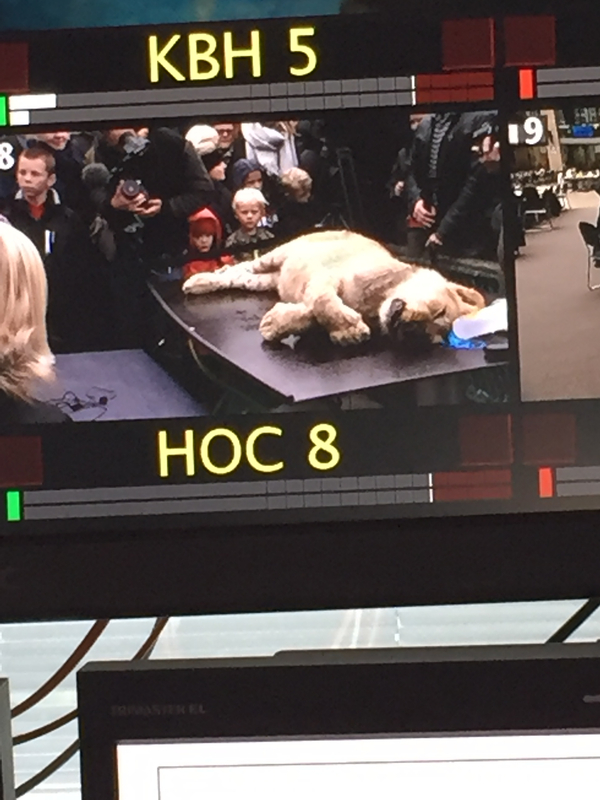 Only last year, Copenhagen Zoo walked into a media frenzy when it decided to kill a healthy giraffe named Marius, dissect him in front of crowds and then feed him to the lions. So have these Danish zoos learnt nothing? Well yes because this time round, Odense Zoo decided not to publicise the cub’s death at the time, and not to give him a name. But zoologists and most Danes in general are adamant that dissections are important – they say they are for educational purposes and not entertainment. They’ve done it before and they’ll do it again. Which goes to show how culturally different Danes are to Brits (as well as Americans and other nationalities). There is no way on earth that a British zoo would or could do this in public. Let’s not kid ourselves – hundreds of ‘big’ animals in zoos across Europe are culled every year for many reasons, including having the wrong gene pool. And whatever we may think, it happens in the UK too – but in secret. Remember the storm that followed after it was revealed by the Daily Mail that Longleat Safari Park had put down six lions, including four cubs, because there were simply too many? I am, though, still shocked that killing ‘healthy’ zoo animals needs to happens at all – in the US they use contraception. I certainly wouldn’t allow my five-year-old son to watch a dissection, even if he wanted to. That prompted the TV presenter to ask me if I was playing into the ‘Disneyfication’ of animals? Perhaps I am. But even though I know that children of all ages regularly visit abattoirs and watch animal dissections here in Denmark, it just doesn’t sit well with me. Does that make me, a meat-eater, a hypocrite? Probably. You’re a brave woman! The Disneyfication argument is a straw man – I actually find it quite offensive. There are lots of issues to unpick in the whole saga, but as you say at the heart of it is the fact that Danish discourse re animals is very different to that in the UK. I’ve been a non-meat eater for knocking on 40 years and I find the Danish attitude, which boils down to the idea that animals are for humans to make use of as they see fit, hard to stomach. (I’ve been here nearly 10 years, yikes!) Hence mink farming (and visit your local mink farm days out), favourable articles about hunting in Guardian-a-like Politiken, lack of meat free options in restaurants…it’s all the norm, and goes largely unquestioned. Distressing! Thanks for your comment! I agree that there are very few vegetarian options in DK. I also try to buy organic meat whenever I can, even though it’s four or five times the price. Animal welfare should concern everyone – including meat eaters. Whose welfare are we talking about here though? The animals’ or the humans’? What matters is surely how the animals are treated while they’re alive, not when they’re dead. I do think it’s hypocrisy to be a meat eater, offended at animal dissection, but I also agree that keeping animals in zoos for entertainment – alive or dead – is wholly wrong and objectionable. Perhaps we should be discussing where entertainment stops and education/conservation starts.